Netflix Inc. may look at licensing deals and produce more local language content in India, as the world's largest independent video streaming company looks to strengthen its presence in an increasingly crowded market. 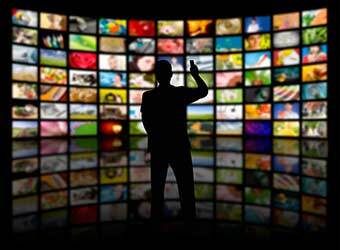 The US-based company entered India in January and competes with nearly a dozen online video streaming sites or applications such as NexGTv, Star India's Hotstar, Sony Liv, YuppTV, Spuul, Eros Now, Hungama, Ditto TV and Box TV. These companies are betting on growing smartphone and Internet use to drive growth. Netflix, however, has positioned itself as a premium service and so has a price disadvantage. It basic subscription package costs Rs 500 a month; many rivals offer their service free while others charge Rs 200-300 a month. (Click here to read more on Netflix's entry). A predominance of English language content makes matters difficult for Netflix in India. This is where licensing deals and local language content can help. "In some places where tastes run much more local like Japan, like India, we're certain that [we] will take more of a local approach in terms of licensing and producing more local language content there as well," said Ted Sarandos, chief content officer at Netflix, during the company's earnings call for the third quarter through September. Sarandos, however, added: "I think over time the taste will fall into line with the kind of desire to see the big spectacular shows that people are talking about around the world no matter where you are." If Netflix adopts a localisation strategy for India, this won't be its first time. In September, the company localised its service in Poland and Turkey. It began accepting payment in local currency and added a local language user interface, subtitles and dubbing as well as some local content, the company said in its earnings statement. This helped the company gain and retain viewers, Netflix said, adding that it will undertake more localisation efforts in the future. Netflix hasn't revealed how many subscribers it has in India. Globally, it had 86.7 million subscribers at the end of September. This includes the 400,000 subscribers it added in the US and 3.2 million outside its home market during the three months through September. The strong subscriber growth and original programming helped push earnings higher and beat the company's forecast. Quarterly sales grew 32% to $2.29 billion while net profit surged 75% to $51.5 million, much higher than its forecast of $22 million. The stronger-than-expected earnings and subscriber growth buoyed investors as Netflix shares soared nearly 20% in after-hours US trading on Monday.